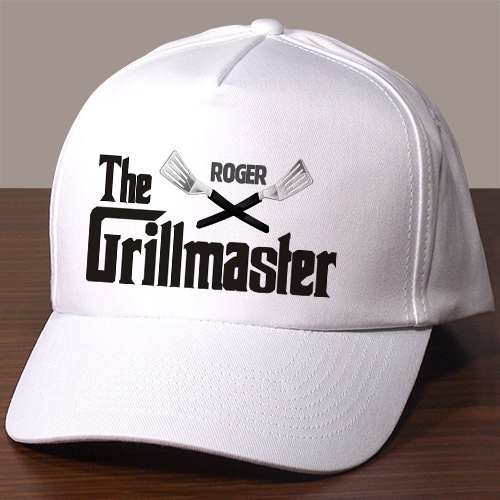 Wear this hat with pride and let everyone know who the best grillmaster is! This BBQ hat makes a handsome gift for Dad, Grandpa or close friends who love to grill. Free personalization of any name is included.